Happy Birthday, Holes in the Wall! Please allow me a moment of self-indulgence as I celebrate 5 years of this website, Holes in the Wall, ‘born’ in May 2011 out of a desire to make a contribution to the understanding of children’s violence to parents, known sometimes as parent abuse. 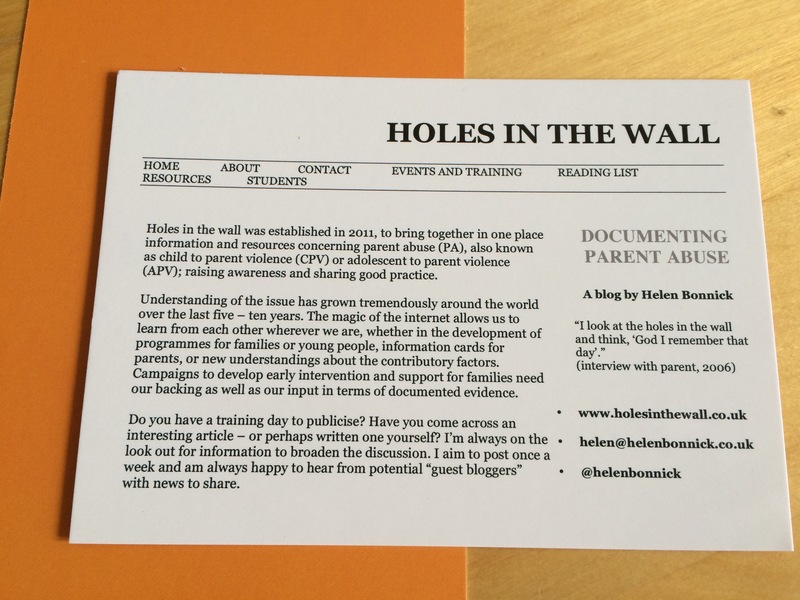 As a present to myself I have ordered shiny new postcards to leave with people at conferences and events, explaining how ‘Holes’ came about and how you can be part of the community!